Most writers I know have moments of envy when they wish with every fiber in their being that they, themselves, had written a line that another writer did. Katie Wood Ray‘s line, “Before revision, vision,” from her marvelous book Study Driven, is one of those lines for me. I love it for its succinctness and simplicity and, of course, for the emphasis on vision, which the line reminds us we should keep in our heads whenever we attempt to revise anything, just as it’s kept, like a Russian nesting doll, within the word revision. I believe that readers need a vision as well, whether they’re students or teachers: a vision of what it looks, sounds and feels like to enter a text knowing virtually nothing and end it with a deep of understanding of what they think the author is exploring. And they need a vision of how readers do that by noticing and connecting details that develop and change across the text. The question is when and how to provide that—and Study Driven had ideas about that, too. In writing, students develop a big picture vision during a period of immersion, a time when students read and get a feel for the kind of writing they’ll be doing. That immersion period is also the first part of what Katie calls a whole-part-whole framework for instruction: Students get a feel for the whole first, then they closely study and practice the parts (leads, transitions, dialogue, etc., depending on what they’re writing) in order to eventually create a whole themselves. “I believe part-to-whole is still the most prevalent curriculum orientation in the teaching of writing, and my theory about why is because with this orientation, curriculum feels more manageable . . . . Having parts to teach makes us feel safe because, quite simply, it makes us feel like we have something to teach. When it comes to reading, I think we also tend to teach parts, with lessons framed around specific skills, strategies and, increasingly, individual standards. And like the risk Katie cites in writing, this teaching of parts often never adds up, as attested to by the number of teachers who confess to wanting to pull out their hair because their students can’t seem to infer despite repeated lessons. So what would an immersion period, in which students develop a vision of the whole, look like in reading? For me, it’s exactly the kind of read aloud experience (or shared reading hybrid) that I shared in my “From Demonstration to Orchestration” post. 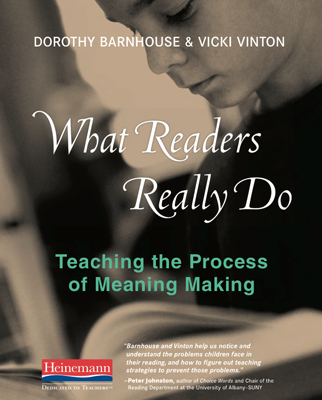 There students were getting a feel for how readers make meaning from a text, using the meaning making process that Dorothy Barnhouse and I explored in What Readers Really Do. And in addition to practicing the first main teaching point—how readers begin a text by keeping track of what they’re learning and what they’re wondering about—the students also uncovered other things that readers do, such as stay alert for small, subtle clues that can signal a flashback as well as a return to the present narrative moment. In this way, students are doing precisely what Katie describes as the purpose of immersion: “They are making notes of the things they notice” with a focus on the process, which in reading is how readers read closely to construct an understanding. And through that process, students, themselves, also “develop curriculum,” such as how readers recognize and navigate flashbacks. After the immersion period, where students are in engaged in the whole work of reading, they hunker down for what Katie calls “Close Study”. This involves the class revisiting texts to investigate the parts. And here there are parallels, too. In reading, this revisiting could take several forms: Students might return to a passage in the immersion text that puzzled them for a second look; they could gather up specific lines connected to a pattern they’d noticed, as the third grade Winn-Dixie readers from last week’s post did, to see what else they might reveal; or after finishing the immersion text, they could return to the beginning to better ‘see’ how the writer planted details and clues that would be developed throughout the text, as another group of third graders I wrote about earlier did with The Blue Ghost. That close study time could also take the shape of the kind of small group work I’ve written about, where students have time to practice—or study—excerpts of other text whose parts operate in a similar way. The students in the “Orchestration” post who were confused by the shifts in time in The Name Jar, for instance, might look at Cynthia Rylant’s story “A Bad Road for Cats,” from Every Living Thing, which contains a flashback that rejoins the present moment through subtle textual clues, in order to be more aware of the way writers signal those shifts. Finally, in Katie’s whole-part-whole writing framework, students are “Writing Under the Influence” of the study, where they apply all they have learned through both the immersion and close study time to their own piece of writing. And this seems exactly what we want the readers in our classrooms to do: to apply all that they’ve learned about how readers read closely to construct meaning to their own independent reading books. Of course to do this, we, as teachers, need a vision as well. So here’s hoping that this helps both you and your students develop an inner vision of the whole complex work of reading that you can tuck inside your minds like that little wooden doll. The results of this year’s New York State assessments—the first to supposedly be aligned to the Common Core—were released the other week, and as expected scores plummeted. Only 26% of New York City students passed the English exam, which means that, in the parlance of the day, 74% of city students are off-track for being college and career ready. The results have rekindled the blame game that’s replaced real discussion about public education, and they’ve reopened all sorts of questions about the tests themselves. And for me, they’ve also raised questions about what it means to be ready and how to help students get there. As most of us know, the Common Core Standards were designed by identifying the academic skills students would need to be ready for college and careers and then working back from there. We could see it, in a sense, as a large-scale example of backwards planning where, having determined the desired outcome, the Standards writers created a scope and sequence of skills for getting there. But as many early childhood experts have pointed out—such as those who signed a joint statement expressing “grave concerns” about the Standards when they were first unveiled—this backward planning process neglected to take into account a slew of cognitive, developmental and neuroscience research about how children learn. With those concerns unheeded, a recent survey conducted by the nonprofit project Defending the Early Years shows that a whopping 85% of the public school pre-K to third grade teachers who responded believes that they’re being required to engage students in developmentally inappropriate activities. What seems ironic, if not tragic, to me is that while learning through the developmentally appropriate methods of exploration and play may not help children identify the setting of a story (as RL.K.3 requires), it actually lays the foundation for them to be critical thinkers and problem solvers. Or put another way, exploration and play may be a more effective path for becoming college and career ready than teaching young children to become pint-size literary critics through skills-based direct instruction. It probably comes as no surprise that I think older students learn best as well when they’re given opportunities to explore and solve problems. But several other issues impact readiness in reading, which I found myself thinking about during a shared reading demo I did with a class of seventh graders as part of an institute Dorothy Barnhouse and I facilitated in June. I’d chosen a short text, “Dozens of Roses: A Story for Voices” by Virginia Euwer Wolff, from the short story anthology From One Experience to Another. As you can see from the opening below, the text puts few demands on students at the vocabulary or syntax level—i.e., there aren’t many word or syntax problems a reader would need to solve. But beyond the play-like format, figuring out what’s going on and why requires a ton of complex thinking as the author never directly comes out and tells us what has happened. Some of you reading this might already have a hunch about where the story’s going—there’s abuse involved—but despite lots of great talk and great participation, none of the students could ‘see’ that. As I met with the teachers who’d been observing to think about the instructional implications of what we’d seen, we wondered whether part of the problem was that the possibility of abuse was something they couldn’t imagine. That is, it was a conclusion they weren’t yet ready to reach. And here we hit a crossroads: On the one hand, if we believe that one of the great gifts reading offers is the way it extends our understanding of human nature—and that seventh grade is an appropriate place for students to be aware of abuse—we head in one direction. On the other hand, isn’t there something to be said for those seventh graders who couldn’t imagine anyone inflicting harm on someone they supposedly love? Might not that be something to celebrate—just as we might celebrate the kind of imaginative or magical thinking young children are capable of, knowing that they’ll grow out of it quickly without us pushing them? Aware that there were a handful of students who’d been circling the idea without quite getting there, we decided in this case to pursue the first course and design a small group lesson that might push their thinking. But rather than battering them with more prompts and loaded questions to pull the answer out, I took a path that might feel counter-intuitive to those who think that the way to prepare students to read complex texts is to have them read more complex texts: I gave them all copies of an easier text that posed the same kind of problem, an excerpt from Patricia Reilly Giff’s Fish Face, which I often use. And I asked them to consider this question: How can we figure out something that’s happened that the writer doesn’t tell us directly? This description of critical thinking seems almost diametrically opposed to how students are supposed to demonstrate readiness for college and careers, especially as gauged by standardized tests where speed and right answers rule. But I have to wonder whether we’d do better by giving students more time to doubt, consider, seek and meditate rather than rushing straight through to making claims. Granted, it would be a slower path, though it might be one that’s more durable. And while it would be harder to measure on a standardized test, maybe those tests aren’t really ready to assess readiness. Last week I read a piece in The New Yorker titled “Slow Ideas” by the surgeon and writer Atul Gawande, whose articles about medicine seem full of implications about teaching and learning to me. In this piece, for instance, Gawande looks at how to speed the spread of important innovations, such as institutionalizing hygienic hospital practices in order to avoid infections, and along the way he discovers something that I think has implications for mini-lessons: that people are most prone to lastingly learn things not if they’ve seen it demonstrated by an expert but if they’ve had the chance to try to do it themselves. The by-now standard structure of a mini-lesson has the teacher explicitly naming a teaching point that’s connected to the unit of study, then modeling it as students watch. This is followed by a few minutes of active engagement, where students are invited to participate, sometimes by trying out the teaching point themselves or sharing what they saw the teacher doing. Then there’s a link that acts as a segue to independent reading, where students are explicitly or implicitly expected to apply what’s been taught in their independent reading book. I can’t say enough about how important it was to me, in my own practice, to become adept at articulating a clear, concise teaching point, which this mini-lesson structure forced me to do. I learned an incredible amount doing that—sometimes, I believe, more than the students watching those lessons did. For while there are certainly stellar exceptions, I often see students zoning out as teachers—including me—demonstrate, and too often I don’t really see students transferring what’s been taught into independent reading. As I explored in an earlier post on the pros and cons of modeling, this may be because of the passive nature of watching someone else do something—especially if it’s not something you’re burning to know. It might also be that the time allotted to active engagement simply isn’t enough for many students to get the teaching point—let alone to see what it can do for them as readers, which might motivate more students to transfer the thinking. Furthermore I think that all of this is compounded by the practice of teaching a new mini-lesson every day, regardless of whether students got what was previously taught or not, which may unintentionally send out the message that we don’t really expect you to understand. The ideas I explored last week from Matt Glover and Mary Alice Berry’s “Planning for What You Can’t Know,” specifically address this last issue by encouraging teachers to be flexible and responsive to student needs. But what about the mini-lesson itself? For a while now I’ve done my most critical teaching not during independent reading but during read aloud (or a hybrid of read aloud and shared reading, where I project or provide students with a copy of the text). And while I often begin that with a teaching point, I’m more likely to set students up to practice it, rather than demonstrate it myself—knowing that, as Gawande (and Confucius) said, the learning will be more meaningful and lasting that way. I n the example I shared in that post about modeling, I set the students up to read The Name Jar by Yangsook Choi by asking them to try to do what readers usually do in their heads whenever they begin a book: They try to keep track of what they’re learning and what they’re wondering about both because beginnings can be confusing and because they know that some of what they’re curious about will be answered as the story unfolds. And to help them make that work visible, I used a text-based Know/Wonder chart to keep track of their thinking. 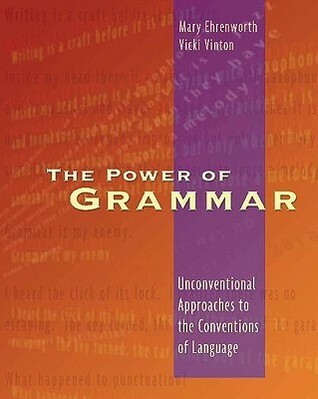 Unlike the teaching points found in many mini-lessons, this wasn’t exactly a strategy or skill, though it positioned the students to employ many strategies and skills we might otherwise teach separately as they automatically—and authentically—started questioning, monitoring their own comprehension, and connecting details within the text to infer everything from the character’s nationality to the problems she faced. And moving the main teaching point from independent reading to the read aloud gives students more time and space to wrestle with meaning by engaging in what Gawande calls in another great article “‘deliberate practice’—sustained, mindful efforts to develop the full range of abilities that success requires.” It also gives us a window into different students’ minds, which can help us and students in several ways. By studying The Name Jar, for instance, I was aware that there were several problems readers had to tackle in the first few pages, including navigating a flashback, which, as you can see below, is signaled only by small textual clues that include a subtle shift in verb tense. I anticipated that that might be tricky for some students, which it proved to be, as students had different views on where and when things were happening. But rather than solving the problem for them by either confirming the ‘right’ answer or explaining the time shift myself, I asked a student to explain her thinking, which accomplished several things. The student who walked the class through her thinking benefited in ways that are described in a recent Education Week article called “Students Can Learn By Explaining,” which cites new research that shows that “students who can verbally explain why they arrived at a particular answer [are] more able to catch their own incorrect assumptions and generalize what they learn to other subjects”—or, in this case, other texts. The number of ‘ah’s’ heard in the room also meant that other students were listening and now saw what she had seen (though anticipating that here might be problems here, I already had a small group lesson up my sleeve that would give the students I could now identify more time to practice this kind of thinking). Additionally as I noticed and named what that student had done in more general terms, we’d arrived, as a class, at another teaching point: that writers sometimes signal a shift from the present to the past through small words and clues like “had said” and “remembered,” and so readers try to attend to those clues in order to not get lost. This teaching point and the other about keeping track of what we’re learning and wondering about could now be imported to independent reading where, instead of modeling, we could remind students of what they’d already done, how they’d done it, and how it had helped them as readers. Building the mini-lesson around student thinking this way not only builds on strengths instead of deficits, it also ensures that time-wise the lesson stays mini so that students have more time to read, without being shortchanged on the time really needed to experience the thinking work first hand. And if and when I do see the need to model, the students are more apt to see the need for it, too, because they’ve developed a different sense of themselves as thinkers and readers—having played the notes of the symphony themselves. The title and lead picture of this week’s post comes by way of Matt Glover and Mary Alice Berry, whose article about planning writing units of study by projecting possible teaching points rather than creating a pacing calendar with a prescribed sequence of lessons seemed utterly brilliant to me when I saw it a few years ago. The article and the book it derived from, Projecting Possibilities for Writers, was based on the idea that if we want to be responsive teachers—i.e., teachers who teach students, not curriculum—we can’t always know how a unit will unfold, as it all depends on what our students bring with them and what they do with what we instructionally offer. This doesn’t mean, though, that we don’t plan. We have plenty of plans up our sleeves, but we don’t necessarily decide what to teach and when until we see what the students do. To help teachers wrap their minds around this, Matt and Mary Alice provide what they call “A Process for Projecting”: a template for planning, consisting of steps, that I believe has implications for reading as well. The first few steps, for instance, have teachers gathering and studying a stack of mentor texts then determining the unit’s major goals. For the first step teachers might gather texts connected by genre, author or craft then study them to think about what the authors of those texts are doing that they could invite students to emulate in their writing. When it comes to reading, we might gather texts to choose a great read aloud to anchor a unit on a genre, author, topic or theme, or to create a text set. Coincidentally enough, this week’s “Big Fresh Newsletter” from Choice Literacy shares several links where phenomenal teachers, such as Franki Sibberson and Mary Lee Hahn, explain how and why they choose certain texts as read alouds to kick off their year. For my part, I usually look for a text that I anticipate students will love and that’s not too long—a great picture book or a chapter book that’s under 200 pages. I also want one with lots of opportunities for students to think meaningfully and deeply in ways I believe will add to their enjoyment and sense of agency as readers. 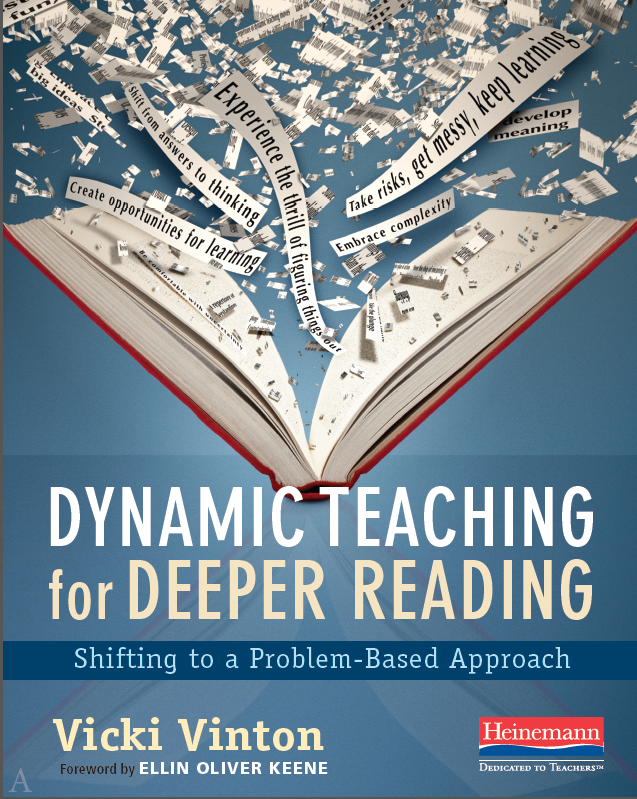 And since at some point early in the year, I want to engage students in the process of meaning making that Dorothy Barnhouse and I explore in What Readers Really Do, I also want a text that requires students to connect details within the text to infer and that uses patterns to develop its big ideas and themes. I look for that first when I study the texts I’ve gathered. And once I’ve narrowed the stack of books down, I look more closely to better understand the particular demands those texts put on readers, or what we might call the specific kinds of problems readers would need to solve in order to literally and inferentially comprehend and think deeply about the book’s meaning. This is, in fact, exactly what I did with the teacher I wrote about last week, as we sat down together to assess how the textbook section she wanted to use conveyed content concepts and to see if there were any ‘holes in the cheese‘—i.e., places where students would have to connect facts and details in order to apply the concepts and infer something the writer hasn’t said explicitly. Studying texts in this way also helps teachers become more aware of how the writer of a chosen text uses specific details, imagery and patterns to explore ideas, which is how I interpret the Common Core’s reading standards on craft. As I shared in a recent post about craft, my awareness of patterns in Eve Bunting’s One Green Apple helped me move students beyond the surface level. And studying texts helped the teacher in that classroom recognize the craft in other books she hoped to use to continue the work I had started. In Deborah Wiles‘s Freedom Summer, for example, which recounts the friendship of a white and black boy in the 1960’s segregated South, she noticed a pattern around ice pops and nickels that reveals a subtle change in the boys’ relationship after a head on encounter with racism at a town swimming pool. It’s worth noting that the point of studying texts is not to know which specific details to direct students to, but to become more aware of all a text holds so that we can better respond to students and formatively assess their thinking. It also helps us take the reading equivalent of the fifth step in Matt and Mary Alice’s planning process: Anticipating Issues and Possible Small Group Work. In looking closely at the textbook I shared last week, the teacher I worked with anticipated that her students might not catch the tiny but important word ‘in’, which explained the relationship between minerals and rocks. So we anticipated planning some small group lessons to gave students additional time to practice thinking about the relationship or connection between the key words of a text. With One Green Apple, on the other hand, I anticipated that not every student would be able to see the metaphoric connection between the green apple and the main character, Farah. And while those who couldn’t might be able to piggyback on the thinking of others, I anticipated needing to plan some small group lessons of the sort I described in an early post to give them more time to experience that kind of figurative thinking for themselves. Projecting those needs led me immediately to the sixth step in Matt and Mary Alice’s process: I had to think about materials and resources. If I saw what I anticipated seeing during the read alouds, I’d need some short texts or excerpts, possibly at different levels, that would offer opportunities for students to practice solving the specific kinds of problems that those texts presented. Projecting possibilities in this way, I’d be on the look out for those. But I’d also need to carefully listen to students during the read aloud to see if there were other needs or miscomprehensions I hadn’t anticipated, which I’d want to address in small groups as well, so that individual children had more time to wrestle with with whatever kind of problem they’d hit. Finally, readers who clicked through to Matt and Mary Alice’s article might have noticed that I omitted a step: Developing a Sequence of Minilessons. With the number of questions I’ve been getting lately about the what, when and how of mini-lessons, I’m saving that for another post. But I hope this one helps with whatever planning for reading you’re doing this summer.